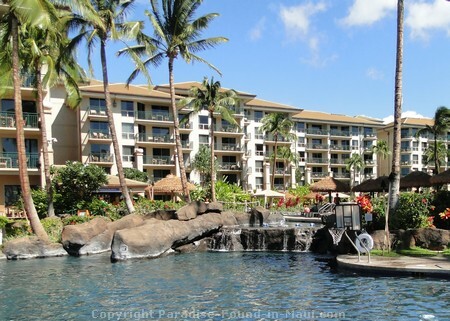 This Westin Kaanapali Ocean Resort Villas is a modern, luxurious 4 Diamond AAA approved resort that is located on 26 beachfront acres in West Maui's Kaanapali area. This is a 4-star timeshare property, but that doesn't mean you have to own one of their timeshares to stay here. Anyone can book a room or villa here! Just like at a resort, since all units are professionally maintained, you are assured of uniform quality from unit to unit. And just like a condo, you have the convenience of an ensuite washer/dryer, as well as a full kitchen where you can prepare your own meals and save some money. 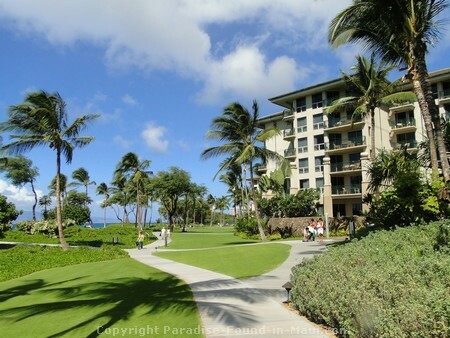 I've had the chance to stroll around the grounds at the Westin Kaanapali Ocean Resort Villas, and they are beautiful! There are several lagoons, waterfalls, and their swimming pool is heated for maximum comfort. Want to play? Check out one of those waterfalls, whoop it up down the waterslide, or test your skills at some water basketball! Want to relax in a whirlpool? 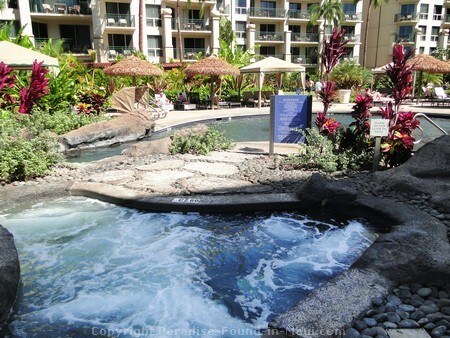 You'll have a choice of not one, not two, not three, but FOUR outdoor whirlpools. 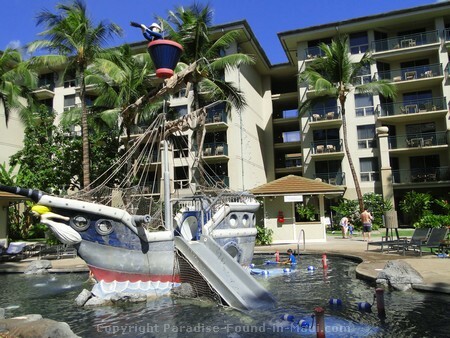 This Westin Kaanapali Resort even has a special pool just for kids, which even has a pirate ship! And, they've got a nice playground for the kids too! 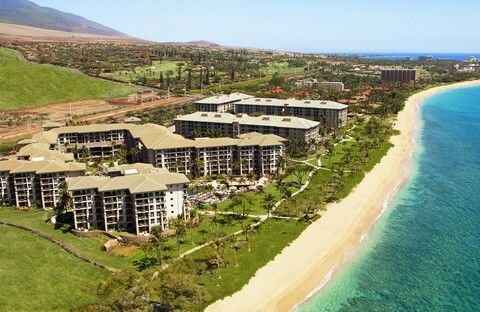 As for the beach, it wouldn't be Maui without a gorgeous beach out front, and this Westin Kaanapali Resort delivers! 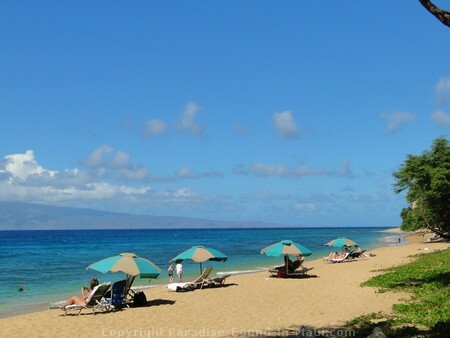 It's located on the beautiful Kahekili Beach, also commonly referred to as "Airport Beach." There are some nice reefs right off the beach, so if you like to snorkel, you'll love staying mere steps away from this lovely spot. 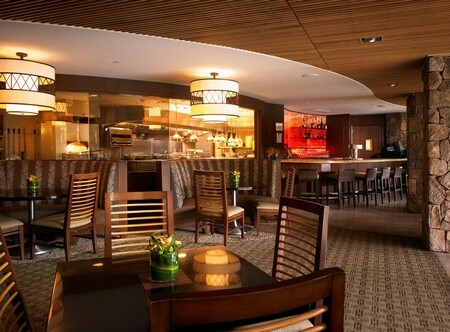 This Westin Kaanapali Resort has several great options for dining out. Whether you want inexpensive and casual, something a bit more formal, or to pick up supplies for preparing a meal in your suite or at one of their outdoor BBQ grills, they've got you covered! Pulehu, An Italian Grill won the Maui No ka Oi Magazine's "Aipono Silver Award 2010." They serve Italian cuisine with a price range for entrees ranging from $18-$40. They are open for the evening on select days of the week. 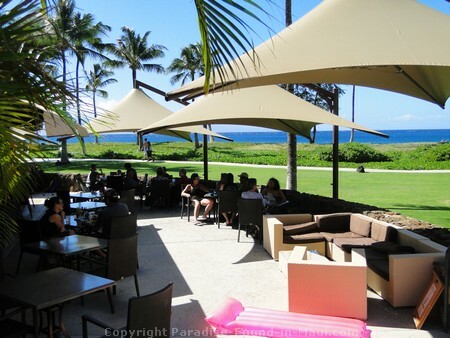 Pailolo Bar and Grill is a casual sports-bar-style dining option at this Westin Kaanapali Resort that is open all day and into the evening, 7 days a week. They feature live music on 2 evenings per week - I love it when restaurants have live music since it makes me feel that much more like I'm on vacation! The prices are great if you want a less expensive option - entrees are under $20 and go as low as $9 for their hot dog meals! I'm thinking their Pailolo Chips served with the "Bases Loaded Dog" with its bacon, fried onions, ranch, lettuce and tomato sounds fantastic! And of course, they serve up yummy appetizers, great cocktails, draft beers and more. Anyone want a Mai Tai? 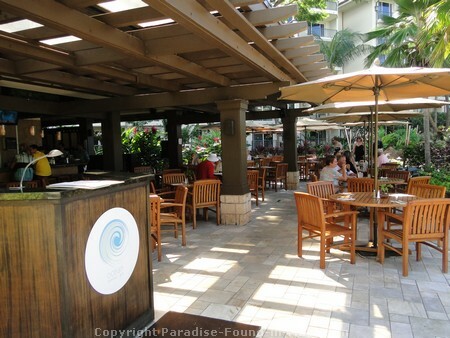 The Ocean Pool Bar and Grill is a casual restaurant that is open for breakfast, lunch and dinner, along with a full bar. During Happy Hour they bring in live entertainment. Prices for dinner entrees range from under $20 for their Kobe Burger to $32 for their Grilled Ahi. My mouth is watering at the thought of their Asian BBQ Ribs... mmmmm..... Here's deal a that parents of the 5 and under set will love: kids 5 yrs and under eat free with the purchase of an entree! The Kai Ala Market is an option for purchasing groceries, ready-to-eat meal options and other such things, right on site at the Westin Kaanapali Ocean Resort Villas. Since all of the villas here have full kitchens, some of you might want to take advantage of the opportunity to save a bit of money on meals by cooking some of your own! The Kai Ala Market is open daily from 6:30 a.m. until 8:00 p.m. For those who want the convenience of arriving to a fully stocked kitchen, you can place your grocery order on-line prior to your arrival and the Kai Ala Market will take care of it for you. Since this is an upscale type of place, I wouldn't expect Costco prices here - however, it certainly is convenient to have a source of groceries right on site! The Pu'ukoli'i General Store sells items such as baked goods, deli items, fresh marinated meats and fish, homemade pizzas and more. Like the Kai Ala Market, they are also open from 6:30 a.m. until 8:oo p.m. daily, and located conveniently on site at this Westin Kaanapali Resort. Note: all hours of operation, prices and specials mentioned were current at the time of this writing. 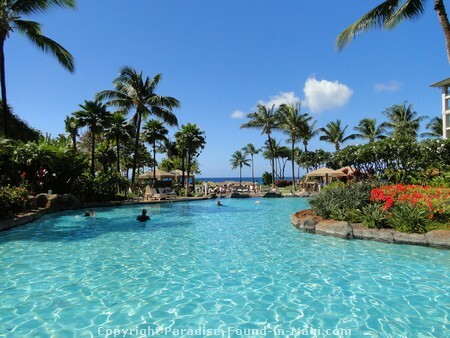 However, all of that is subject to change of course, so please check with The Westin Kaanapali Ocean Resort Villas for the most current information possible upon your arrival in Maui. 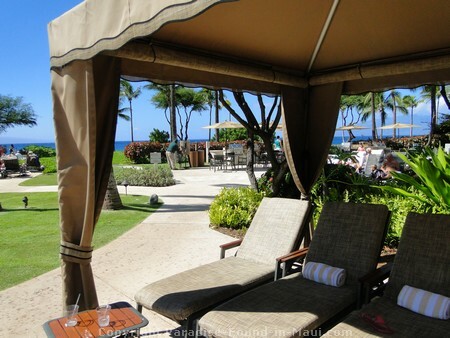 The rooms and villas at the Westin Kaanapali Ocean Resort Villas look gorgeous. 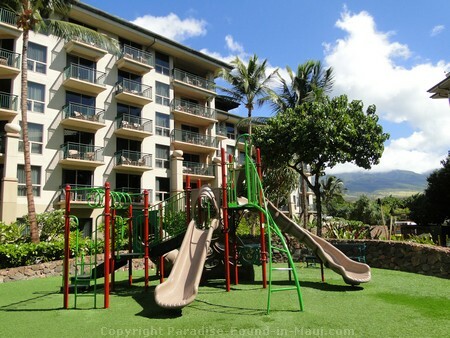 With their full kitchens, Jacuzzi tubs, ensuite washer and dryer, plus all of the usual amenities one would expect from a Westin Kaanapali Resort property, I think almost anyone would be pleased. They have the Westin's signature "Heavenly Beds" in every room and suite, full-sized appliances in the kitchen, a flat-screen TV - everything a person would need in their home away from home. Their ocean view studios start at 460 square feet and are for a maximum of 4 people. The 1 bedroom ocean view villas at this Westin Kaanapali Resort start at 960 square feet and are for a maximum of 6 people. 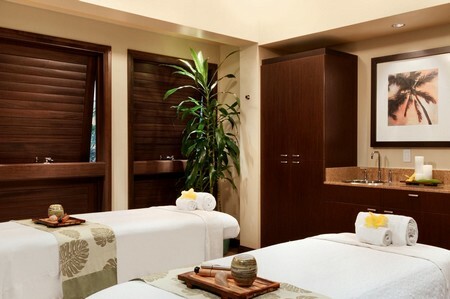 If you want to pamper yourself during your stay, this Westin Kaanapali Resort's on-site Spa Helani will do the trick! They offer a great selection of spa treatments including massages, facials and other facial enhancements, wraps, scrubs, manicures and pedicures, and more! The Westin Workout is available 24/7 for anyone wanting to continue their fitness routine while in Maui. They provide cardio machines, strength machines and a sauna. 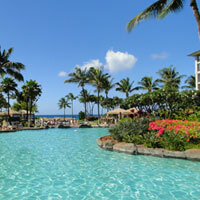 1) Read about the Westin's other property on gorgeous Kaanapali Beach: The Westin Maui Resort and Spa. 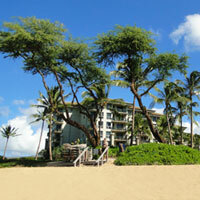 2) Read more things to do and places to stay in the Kaanapali, Maui Resort area. 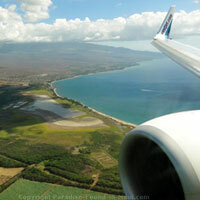 So What Did YOU Think About the Westin Kaanapali Ocean Resort Villas?